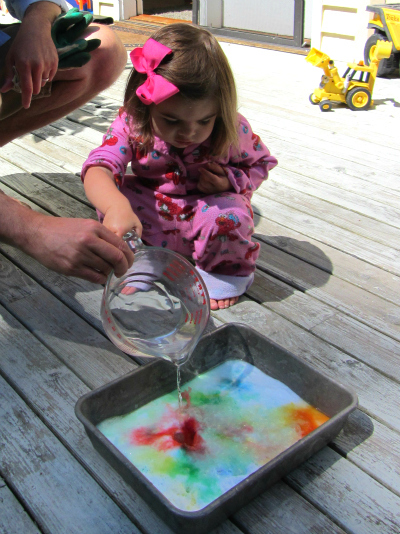 A science experiment for kids should be fun and I don’t think my son could have had more fun than he did with this mash up of two classic summer activities. 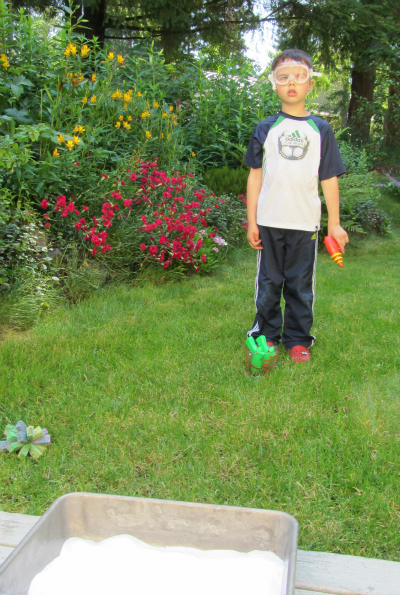 He is all about squirt guns and backing soda volcanoes are a constant favorite here. 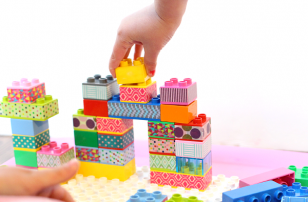 Using your child’s interests to make learning fun is such a fun way to make your child eager to learn. 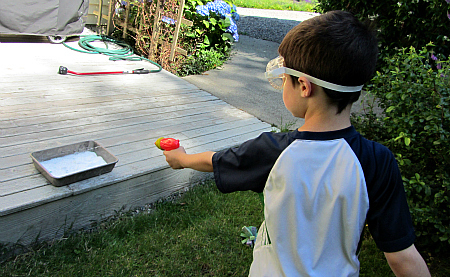 If squirt guns are not welcome in your play then you can use eye droppers, turkey basters and even bath toys instead. 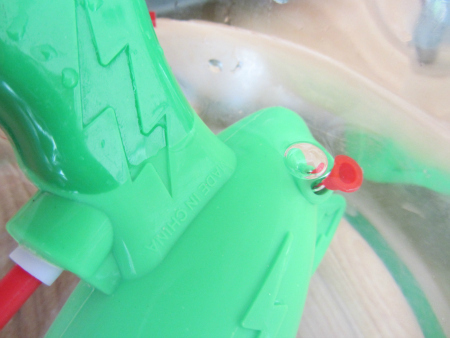 Make sure after the activity you wash the squirt guns carefully to get all the vinegar out so there are no accidental squirts at someone later. Gather your materials. You will need a pan ( ignore the mini muffin tin, that was our first attempt and well obviously it didn’t work. 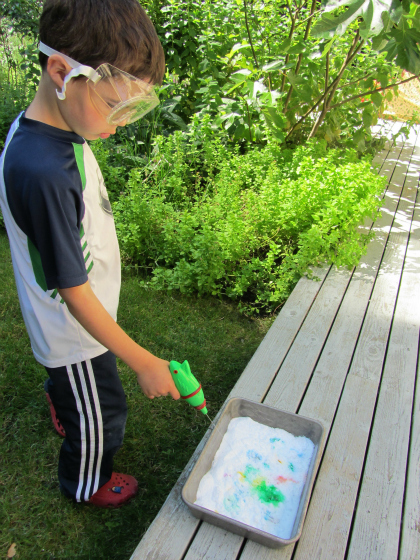 It was too hard for a 5 year old to get a good aim on such small targets), baking soda, vinegar , food coloring, a large measuring cup or bowl , protective eye wear and squirt guns. 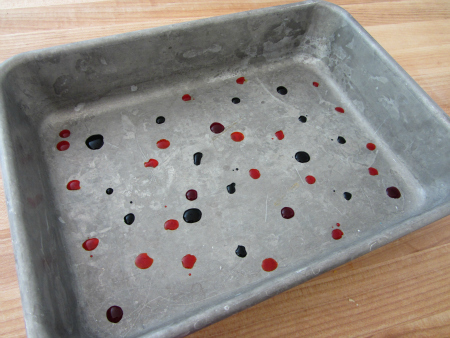 Start by adding food coloring in random dots to your pan. 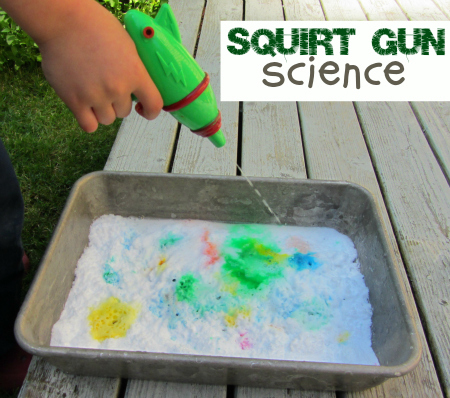 Fill your squirt guns with vinegar. 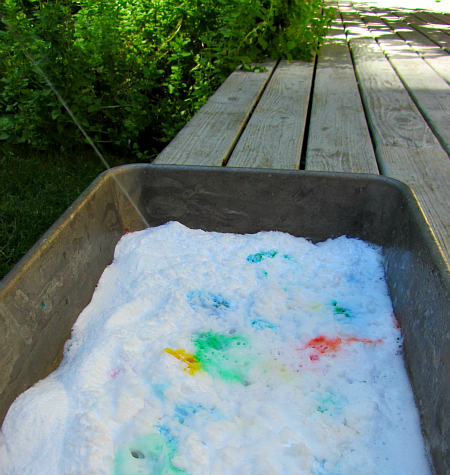 The easiest way to do this is to submerge the squirt guns in a bowl or large measuring cup full of vinegar. Get ready – go outside! Make sure the protective eye wear is on . 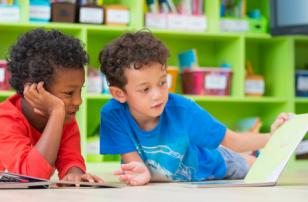 Ask your child to make a prediction about what will happen. 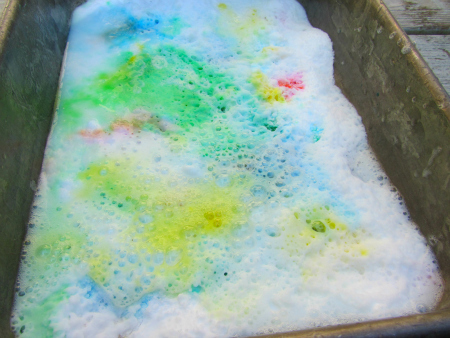 He loved the colored bubbles – he had no clue there was food coloring under the baking soda. He stepped closer to get the harder to aim at areas. It was super fun to see all the colors emerge and even mix together . After the guns were empty his sister was invited out to do some pouring too. Haha! This rocks! My nephew would LOVE this!! What’s scientific about this, though? What’s the objective? 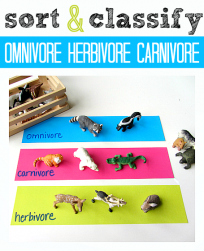 What scientific facts are you trying to teach? You are right the scientific method was not closely followed, but we were introducing the idea of a chemical reaction and predictions. 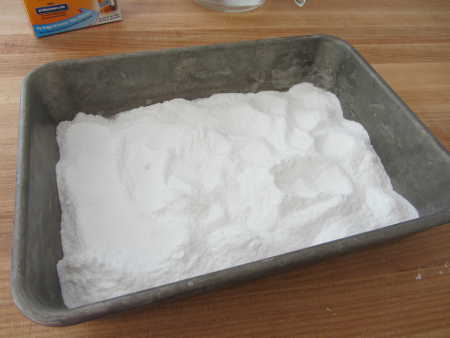 We are going to the store to stock up on baking soda later today and will definitely do this. Seriously awesome. My son is going to love you when I show him this! Love it… great idea to hide the color underneath. FANTASTIC!!! This is the perfect experiment this week. We’ve been studying chemistry and mixtures. My 7 year old will go crazy for this!!! Love it! Brilliant. I love this combination. Should try it soon. What a fun and great idea. 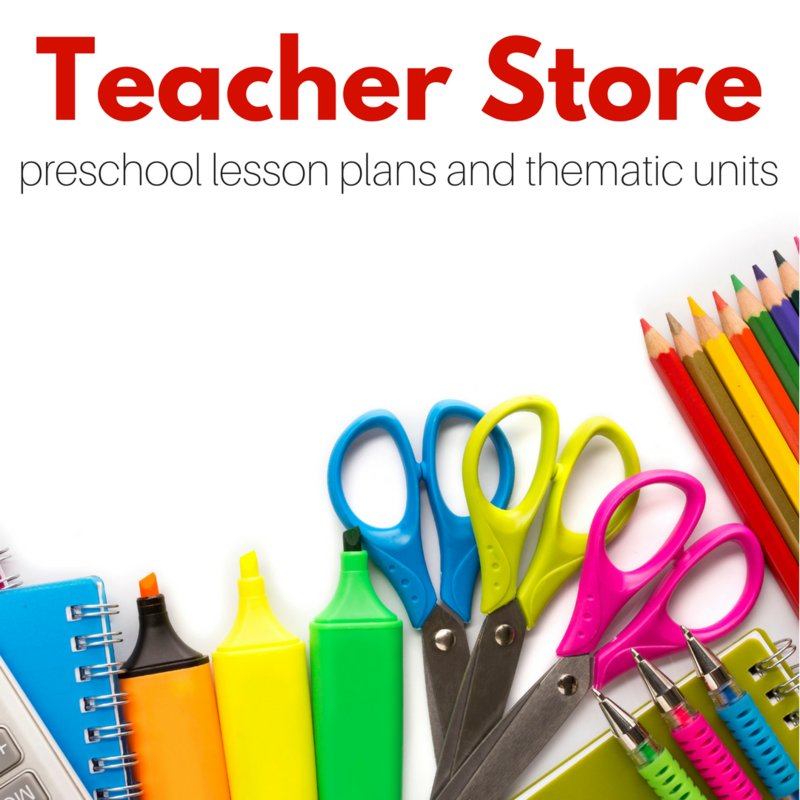 I will have to try this my class… Thanks….. This works on styrofoam plates, too. instead of squirt guns, we used little bathtub squirter toys. 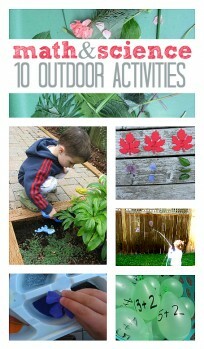 Great fine motor exercise and we could do it indoors. 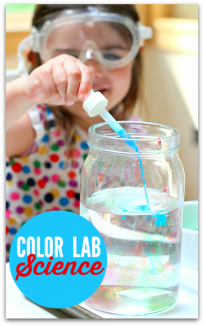 This sounds awesome…my 9 Yr. old Grand-daughter is going to love…Love…LOVE this !! Q: Can you use an oversized turkey aluminum roasting pan so it can be cleaned out & re-used for that ONLY ?! 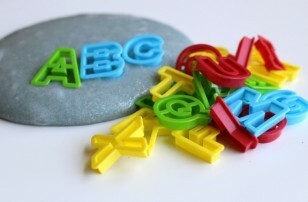 The “NEON” food coloring would be cool!